At Fisher Glen Animal Hospital we put a strong emphasis on preventive health care. Preventive medicine is an approach that includes timely checkups and evaluations of your pet’s health risk factors. Consequently, we can detect diseases early and intervene before they have been allowed to progress. Based on the findings of our evaluation, we will recommend a health plan for your pet. This may include such elements as nutrition, vaccination and parasite prevention, dental care, and any other necessary recommendations we may have based on your cat or dog’s specific health risk factors. At Fisher Glen Animal Hospital, we tailor a custom healthcare approach for each pet that walks through the door. Over the past several decades pets have taken on a new meaning in our lives. They have become much more a part of the family. For many people their pets are like their children, or “fur children.” They sleep on our beds, they share our food, they travel with us, and they go to our offices. Above all, they add joy to our lives. This makes it all the more difficult to part with them. Giving your pet the gift of ongoing preventive care will ensure that they are with you for as long as possible, healthy and pain free. 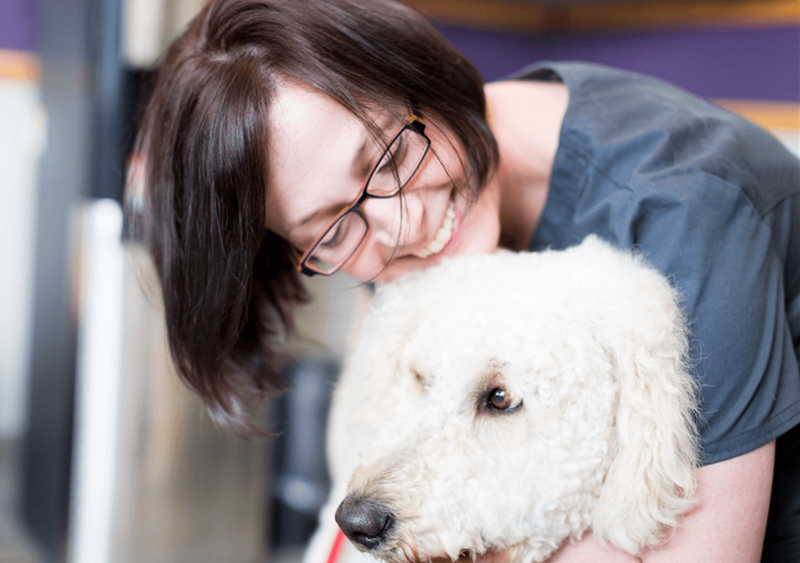 Why is Preventive Health Care Important For My Pet? Your pet should have a full examination once yearly if they are young, or twice yearly if they are seniors. Don’t forget that each of their years is somewhere around seven of ours, so they do age more quickly. Consequently, things can go wrong in shorter periods of time. For many diseases, including diabetes, kidney disease, or hyperthyroidism, early detection can be key to improving the quality and quantity of your pet’s life. Furthermore, the cost of preventive medicine can be a fraction of those involved in treating illnesses which have become advanced. Additionally, early detection and diagnosis greatly increases the likelihood of successful outcomes. Parasite control for heartworm, fleas and internal parasites is also important for their health as well as yours. Early disease detection bloodwork often allows us to pick up the early stages of disease. Additionally, a vaccination program tailored to your pet will help prevent infectious diseases. By budgeting to provide regular checkups for your cat or dog, you can often avoid costly and unnecessary visits for more serious illnesses. We are happy to discuss the full range of pet insurance that is available, to help make medical bills more manageable. We will work with you to create a health plan that will keep your pet healthy for years to come. Diet and nutrition can play a crucial role in your pet’s long term health. This may include a specialty diet designed for specific ongoing illnesses, or simply a plan to ensure that your pet is always getting the very best in food and nutrition. Veterinary prescription diets offer huge benefits for many pets with ongoing illnesses, ranging from diabetes to kidney disease to allergies. They can also play a critical role in prevention and treatment of obesity, which affects over half of the pet population. We keep a number of veterinary diets in stock, but if we don’t have what you are looking for, we can easily order it for you within two days. We carry Medi-Cal, Royal Canin, Purina, and Hill’s Diets, both prescription and life stage. Additionally, we also carry grooming supplies including shampoos, nail trimmers and ear cleansers. And, for the pet who keeps to a strict oral hygiene plan, we have toothbrushes, toothpastes, dental toys and special dental diets that make the task a little bit easier! If we do not have it we will order it for you. However, we do request that when you need food you call at least 24-48 hours ahead so we can be sure to have it in stock. Because your pet’s health needs change as they grow from a puppy or kitten to a full grown adult, then progress to a senior patient, we tailor our approach accordingly. We believe in creating an individualized health, diet and nutrition plan for each patient who walks through our door. Visit us today! If you have any questions or would like to book an appointment, please don’t hesitate to Contact Us Today! And while you’re here, be sure to visit our Veterinary Services section to learn more about everything we do here at Fisher Glen Animal Hospital, or check out our new Complete Animal Wellness Plans, designed to give your pets the absolute best quality of care at the most affordable price!